Apple is one of three high-profile companies being required to explain to an Australian government inquiry why its product pricing in Australia is significantly higher than in the United States, reports Kotaku Australia. The issue is not a new one for Australian officials, but legislators are stepping up their investigations into prices being paid by Australians. The action comes after Apple, Microsoft and Adobe had all refused to send representatives to public hearings held by the IT Pricing Inquiry. The government has now issued summonses to all three companies, requiring them to attend and Parliament member Ed Husic warning that legal consequences will follow if they fail to comply. Adobe, Apple and Microsoft are just a few firms that have continually defied the public’s call for answers and refused to appear before the IT Pricing Inquiry. Apple's pricing does vary significantly by country, although comparisons often do not take into account taxes that are included in the base price in many countries but not in the United States. Different products also vary in their pricing comparisons across countries. 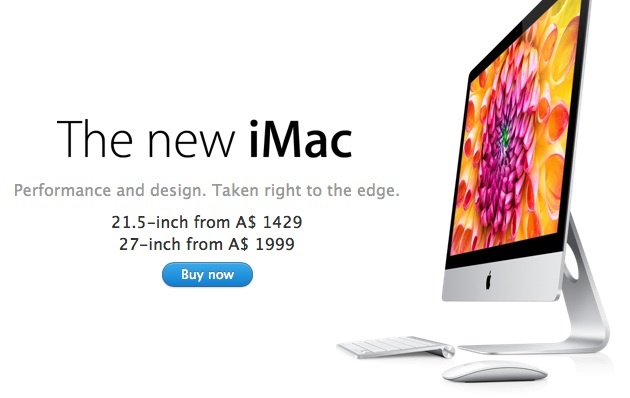 For example, the base 27-inch iMac is priced at $1799 in the United States, A$1999 (US$2054) in Australia and £1499 (US$2352) in the United Kingdom. But when subtracting included taxes from the international pricing, the iMac comes in at A$1817 (US$1867) in Australia and £1249 (US$1960) in the UK, for price premiums of 3.8% and 8.9% respectively. For the 16 GB Wi-Fi iPad, the difference is even smaller once taxes have been accounted for, with the device priced at $499 in the United States, A$490 (US$503.38) in Australia and £332.50 (US$521.66) in the UK for price premiums of 0.9% in Australia and 4.5% in the UK. iTunes Music Store pricing shows a much greater disparity for Australian customers, with tracks that sell for $1.29 in the United States being priced at $1.99 before tax in Australia. Apple has traditionally priced its products somewhat higher internationally even when accounting for taxes, due in part to increased cost of business in many countries relative to the United States and as a buffer against fluctuating currencies. Customers and government officials in many of these countries feel, however, that pricing is still too high, particularly for digital content such as downloadable music and software that does not incur many of the overhead costs associated with physical goods. It’s a carry-over from the cult of personality that Steve Jobs built up around himself. People can call it arrogant, but that’s only because Apple’s way is different and they keep getting away with it. I also think that the refusal to engage will be what ultimately undermines Apple. The public hearing is scheduled for March 22. If Australia doesn't like it, maybe Australia should develop it's own home-grown talent and compete. The best bit about Apple at the moment is design and I think you have an Englishman to thank for that. Just because you've figured out how to sell a steak for $9 at Outback doesn't give you the right to go telling other people how to price things. Outback isn't Australian. It's an "Australian themed" American restaurant chain. Is this the same government that recently banned A-frame ladders? Now it has a panel that can require companies to show up to publicly defend their (arguably reasonable) pricing or face "legal consequences?" This is not like gouging on gasoline or milk during a hurricane. This is an iMac. The Australian government have every right to try and protect their consumers against price gouging. Other countries should do the same IMO. Unsure why above comments think otherwise? That's how much it costs to ship products to the Edge of the Known Universe. A 3.8% price premium is what they are complaining about? Do they forget to take into account their own taxes? Well, to give you an example. The highest standard-configuration Retina MacBook Pro costs $2799 in the United States, without taxes. In Europe, it can cost as much $3265 without any taxes at all. So, without taxes, there's already a difference of $466. You could buy an iPad mini + an iPod shuffle + accessoiries with this money. If you take into account that taxes are extremely high in other modern, western, countries, than the difference is even more astonishing. In Europe, the Retina Macbook Pro I talked about will cost you $3951. If you compare that with the United States, where in some states you don't even need to pay sales tax, than there's a difference of $1152. - Apple asking much more money, even when taxes are taken out of the equation (as seen above: a Retina MacBook Pro standard configuration costs $466 extra). The second thing is something Apple can't fix. It's not their problem. The first thing, however, is outrageous. The combination just makes it really hard to swallow for a lot of people. You can get one Retina MacBook Pro in Europe while, for the same money, in the United States you can get one[/b] Retina MacBook Pro, [i]one iPad mini, one unlocked 16 GB iPhone 5, one Apple TV and still have $75 for accessoiries or iTunes content or whatever. Again, the problem is a combination of Apple asking a premium plus high sales tax. Also, again, it should be no surprise: for a lot of people, it is hard to understand why in Europe - and other parts of the world - you can only get one MacBook Pro, while for the same money in the US you can get a Retina MacBook Pro + iPad mini + iPhone 5 + Apple TV + still have money left for accessories or iTunes content or whatever. Next thing you know, you'll be telling me that Australians don't sit around tossing boomerangs and playing didgeridoo music all day either. Ridiculous. It's called a free market. We don't tell you how to price your fosters.